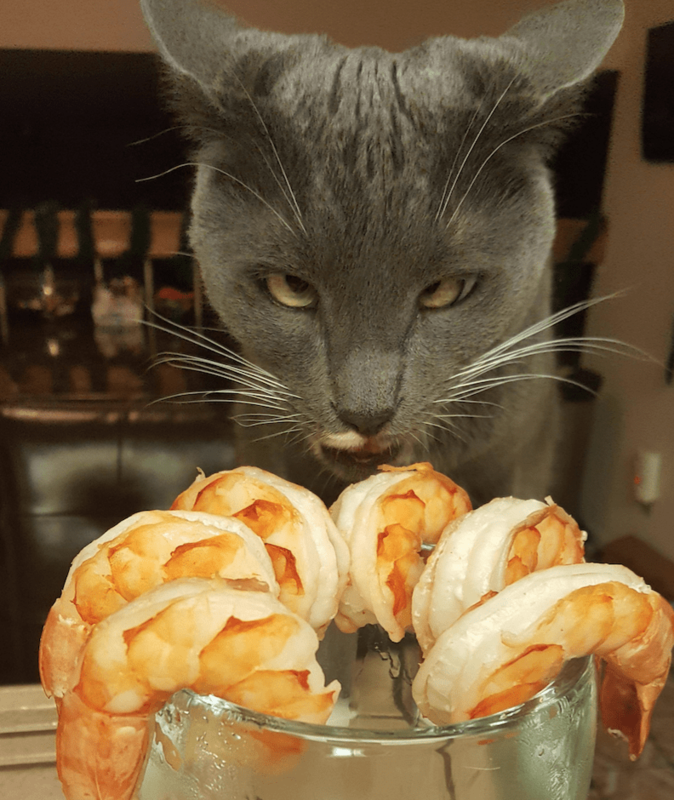 Judging by his expression, this cat is not interested in sharing this delicious shrimp feast prepared for his birthday. Judging by his expression, this cat is not interested in sharing his favorite food, prepared for his birthday. We have questions. Is he sitting alone on the table? Sure looks like it. Where did they get those jumbo shrimp? And how did they get their cat to pose long enough to take the photo?